Just a hint of what views can be seen from the finished house. I will have to take my fancy camera out there on the next visit, so I can zoom in on this view and capture all the lush landscape details of the Red River valley. This photo was taken with my iPhone which doesn’t have much zoom ability. 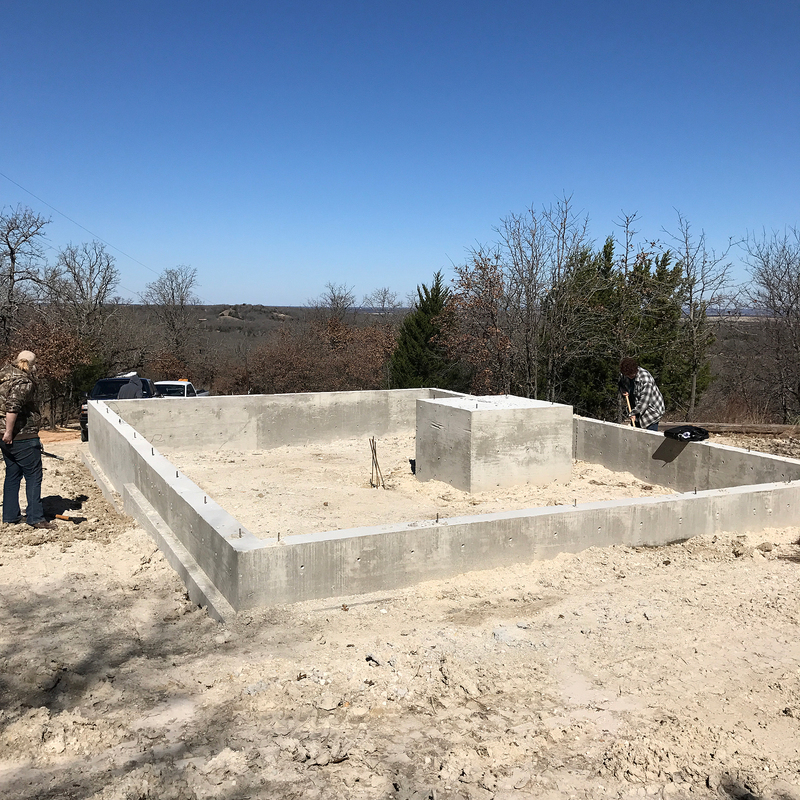 With the foundation complete, I and my architect, Charley McKenney, took Eco Friends Pest Control out to Tumble Moon to do the first phase of the termite treatment. The second and final treatment will have to wait until after all construction and exterior grading have been completed. Paint colors have not been picked for the house, but I felt these drawings could use some pizzazz. The back elevation has changed. The back door has been moved around to the side, and there are now two windows. Design Development. We (Charley McKenney and I) have now moved from the schematic phase to the design development phase. 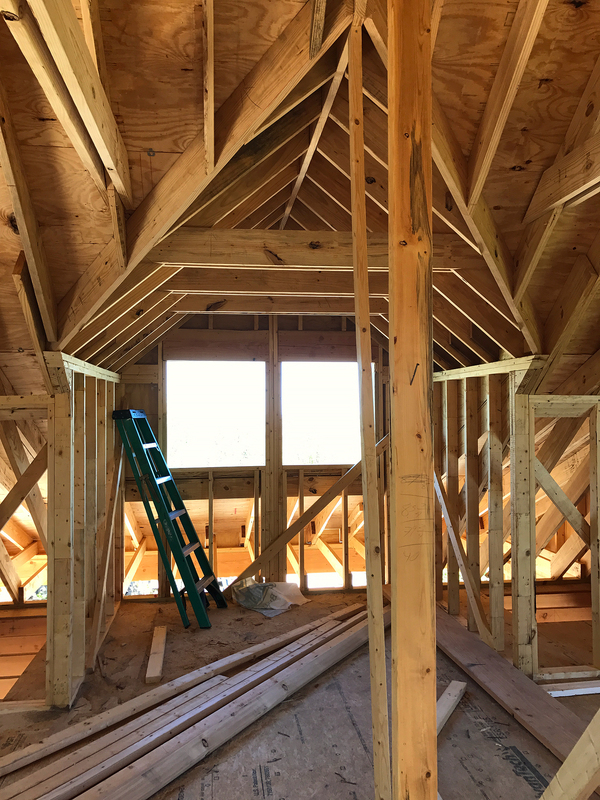 Actually we’re further along and are now way into the construction document phase, but this post is about the design development and includes all the interior elevations. You know… the fun stuff. Once you have clicked over to the entire post, please remember that by clicking on an image, you will see a much larger version. While you’re in the large version mode you can click the right arrow which will take you to the next drawing. This way you don’t have to exit this mode in order to get to the next image, but you will need to exit in order to read the captions. No paint colors have been picked for the house, but I felt these drawings could use some pizzazz. I do know what color it won’t be, white. The color pallet will come from the natural elements on the property, twigs, bark, leaves, and stone. I finally decided on a name for my new piece of heaven, Tumble Moon. It’s the name of a Texas Dude ranch in an old campy film called Lightning Strikes Twice (1951). It seems that all the other name combinations that might describe my property’s uniqueness were already spoken for by multiple apartment complexes. 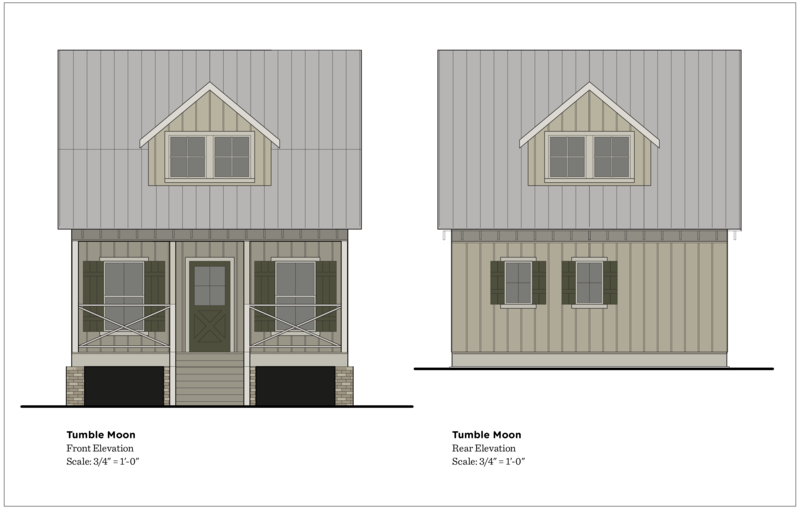 This exterior design from Max House Plans is ideal for my country retreat. 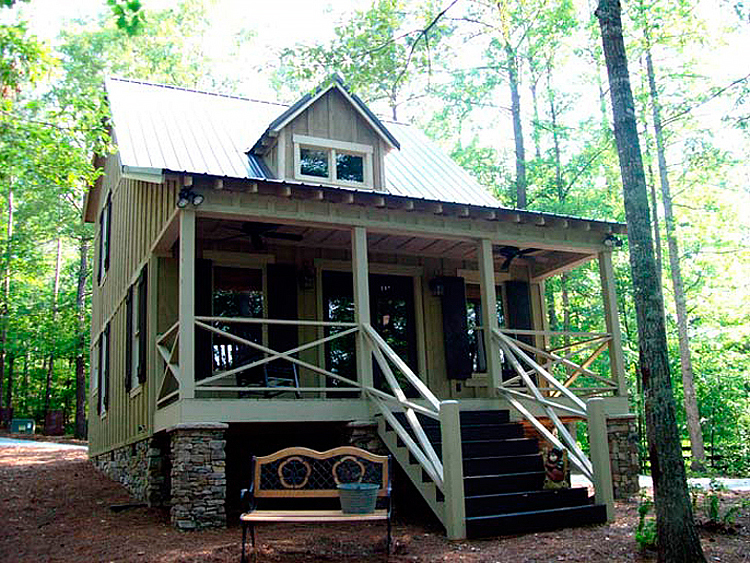 For my new piece of heaven, I envision a traditional southern vernacular. What I don’t envision is an open floor plan where the ground floor is one room with the kitchen lining one to two walls and all the furniture grouped in the middle. 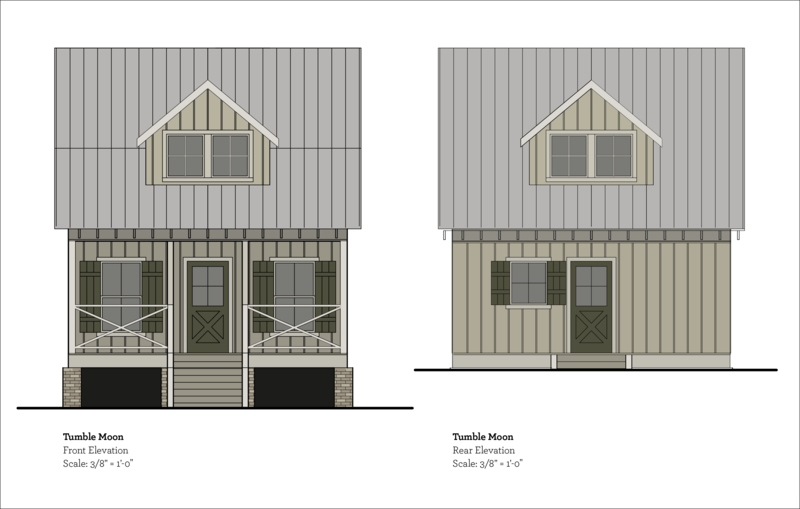 This trend seems to be prevalent for just about all new builds of small houses. In my opinion, an open concept is a cop-out for traditional vernaculars. 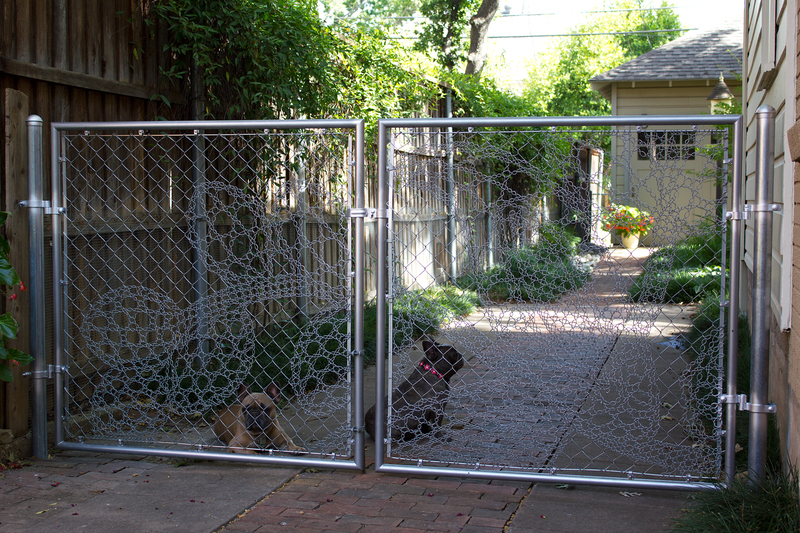 It’s a lazy approach to space planning and has no appeal or charm, and it certainly isn’t what one would expect to find when viewing the house from the outside. On the other hand, having a lot of walls and interior doors can be claustrophobic in a small house. I believe a compromise is in order. 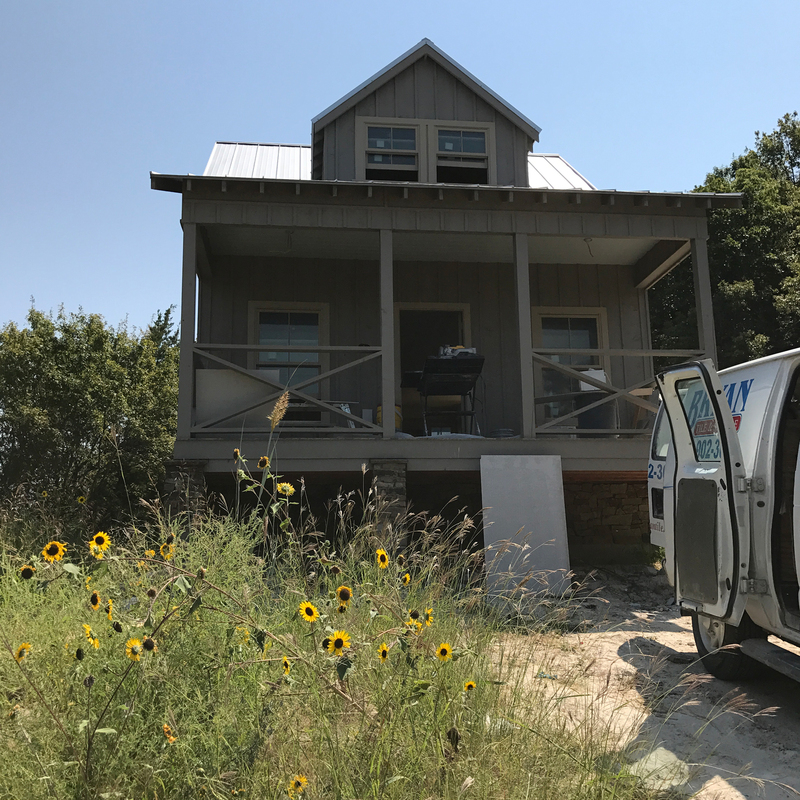 Since the chosen building site within the 8.5 acreage is a small open meadow, a compact footprint (600 to 800 square feet total) is required with the living and kitchen spaces on the ground level and the bedroom(s) on the second floor. 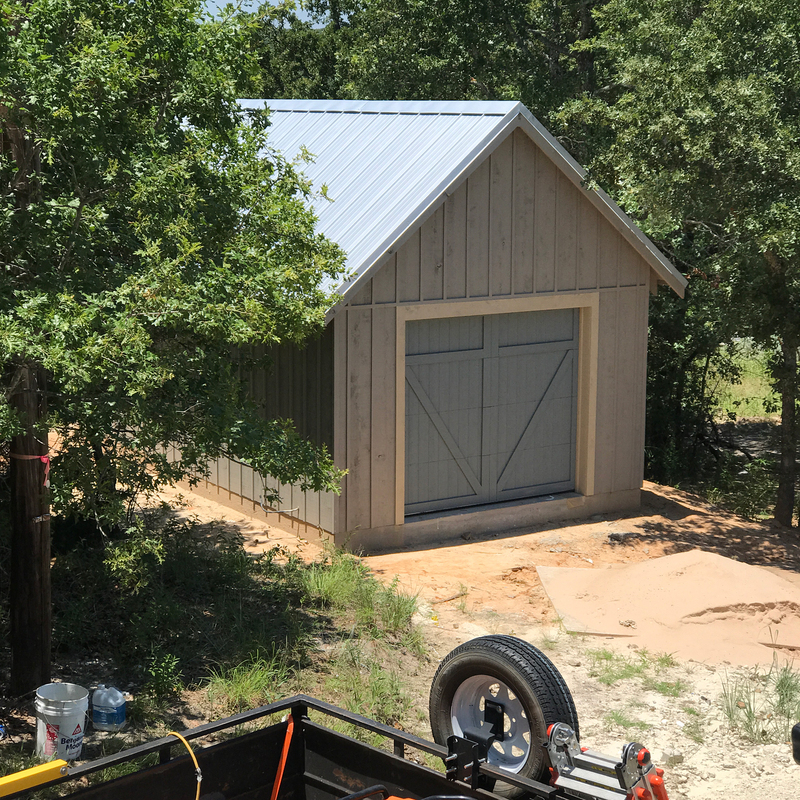 In the last five years, the tiny house movement has really caught on, and there are now numerous online sources where you can download free tiny house plans. 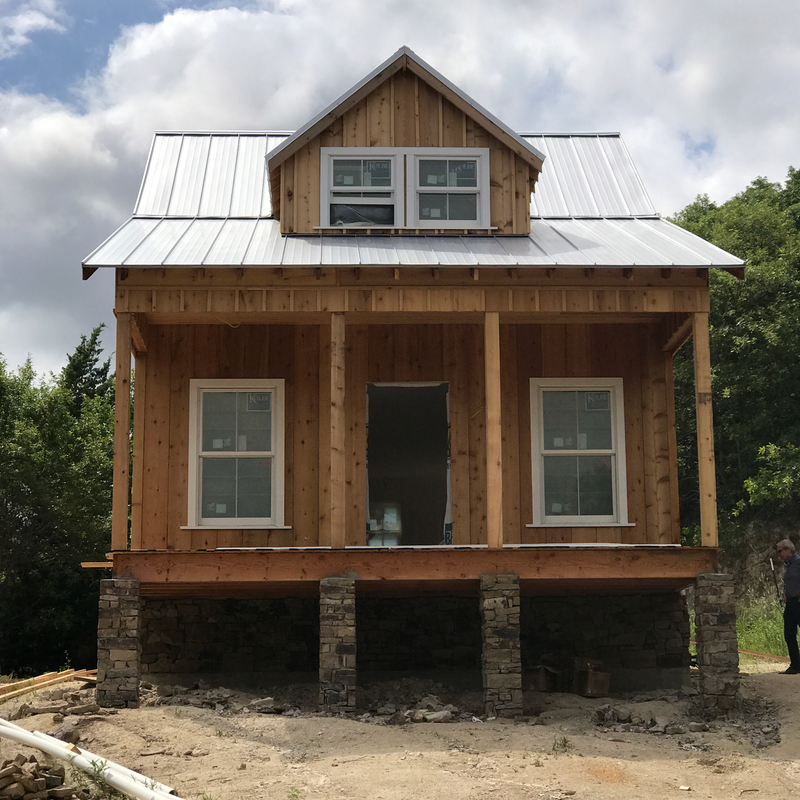 I found one particular plan at The small House Catalog that is a great example of how a small home’s interiors can be divided without a lot interior walls and still be open. 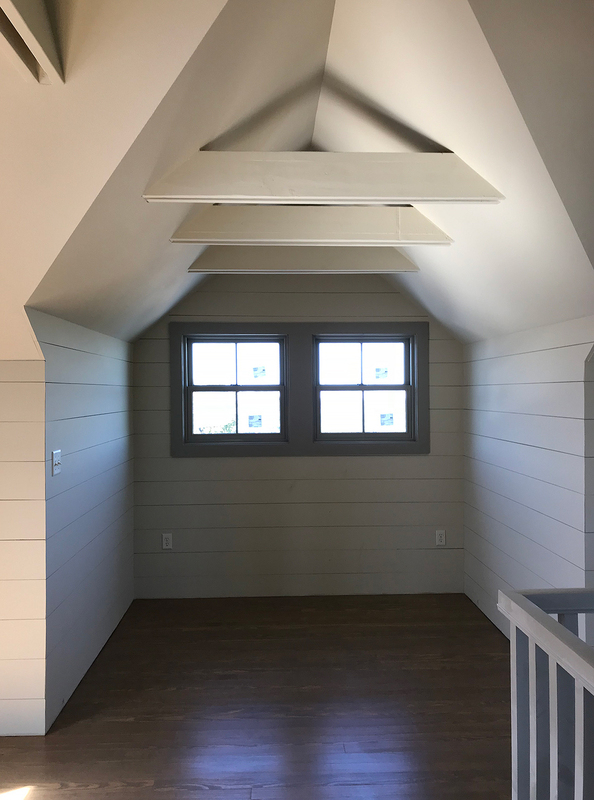 Click on the link below to see this floor plan.